This weekend’s change to daylight saving time means an extra hour of light in the evening. The shift is a milestone on the way to barbecues and beach trips, but adjusting to the loss of an hour’s sleep can be difficult, especially because so many of us don’t get enough rest in the first place. GAZETTE: I’ve heard health called a three-legged stool, with the first two legs being diet and exercise and the third being sleep. What has science shown us about the importance of getting adequate sleep? DUFFY: We used to think that sleep just made you feel better mentally — you’re better able to pay attention or to focus. But as more and more research has been done on sleep, we now recognize that it’s important for many aspects of both physical health and mental health. And whether you have a sleep disorder or you’re not getting enough sleep because of lifestyle choices, a lack of sufficient quality sleep can eventually cause you to have medical problems. Insufficient sleep has even been shown to lead to psychological problems. 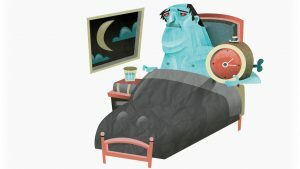 GAZETTE: Does a lack of sleep only make underlying conditions worse, or can it have direct health effects on its own, regardless of whether there’s an underlying condition? DUFFY: There’s some evidence that lack of sleep may cause you to take longer to recover from a particular medical problem that you may already have. But there’s also a lot of evidence now that lack of sleep can directly cause certain medical conditions. For example, if you’re chronically not getting enough sleep or not getting quality sleep, that can lead to obesity and metabolic problems like diabetes. It can lead to cardiovascular disease. There are some sleep disorders that are very strongly related to people developing cardiac disorders, such as heart attacks or strokes. And getting inadequate sleep makes your immune system less efficient. So if you’re exposed to a virus, you’re more likely to catch that virus, to catch a cold or the flu. GAZETTE: I’ve been hearing a lot about sleep and memory formation. Is there a very strong connection there? DUFFY: There is. You’re hearing a lot about it for two reasons: because of the aging population, and also because research in that area only started happening maybe 10 or 15 years ago. It’s really rapidly developing. 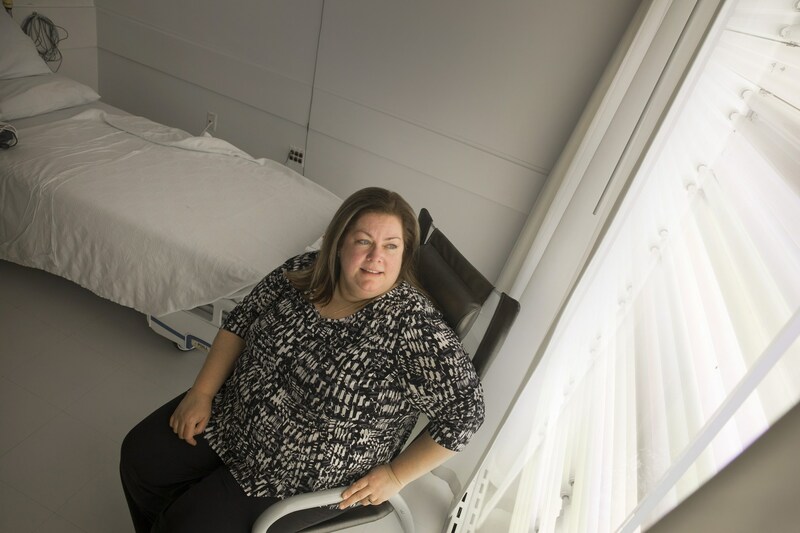 Sleep and memory research is converging with dementia research. There are some interactions that we don’t understand yet, but it is looking like quality sleep of sufficient duration is important in preventing or delaying the onset of dementia. There is also now evidence that treating undiagnosed sleep disorders may slow the rate at which cognitive changes occur in people with cognitive impairments or dementia. For people without cognitive problems, there’s a lot of evidence that you need sleep for two aspects of memory. You need to be alert enough when you’re taking in new information to actually be able to encode that information. Then you need to have slept after you encoded the new information to retain it better so that you can retrieve that newly learned information. GAZETTE: How are we doing as a nation? Are we sleeping enough? DUFFY: We’re generally not sleeping enough, and most of the surveys show that about half of adults are not getting the recommended seven to nine hours of sleep on a regular basis. What’s even more concerning is that a lot of teenagers and children are not getting enough sleep. They’re at the point in life when their brains are developing — they’re learning, and they’re in school, so it’s an even more important issue for them not to be getting enough sleep. GAZETTE: Let’s talk about the current study. What are the specific questions that you’re looking at? DUFFY: This is a follow-up study to one that we did a few years ago. The main question that we’re looking at is how disruptions to sleep and the biological clock — the circadian timing system — impact metabolism. There’s evidence that if you don’t sleep enough, you can gain weight and have metabolic changes that could eventually lead to diabetes. That’s one of the things that we’re studying. We’re taking healthy individuals who have been getting enough sleep. Some of them are randomized to have their sleep shortened for several weeks and we do assessments of how their metabolic system responds when they eat a meal. We look at how that changes in the group whose sleep has been shortened versus the group who sleeps a normal amount. Also, we are looking at whether any metabolic changes in the sleep-restricted group worsen over the course of the three weeks. Then we have a third group that is given enough opportunity to sleep, but on a schedule that will disrupt their biological clock, kind of like having chronic jet lag. There’s now some evidence that if you’re eating at the wrong times of day, that could cause you to have similar negative metabolic changes to that from insufficient sleep. GAZETTE: We’re coming up on the springtime change, where we get a little more daylight in the afternoon but lose an hour’s sleep. People complain about this every year. How big a deal is an hour’s shift in our sleep schedule? DUFFY: It is something that we should normally be able to adjust to within a few days. The problem is that we as a society are so sleep-deprived that when we lose that additional hour of sleep, it really throws us. In fact, there have been studies done both here in the U.S. and in the U.K. that show that on the Monday after that time zone change, there’s about a 10 percent increase in automobile accidents. That does not happen in the fall when the clocks change the other way and we get an extra hour of sleep. People are kind of at their limit in terms of chronic sleep deprivation, and that extra hour of lost sleep flips them over the limit and makes them more vulnerable to things like getting in an accident. GAZETTE: Any recommendations on how best to manage it? DUFFY: The best recommendation that we have is to try to get more sleep on the nights leading up to the daylight saving time change so you are carrying less chronic sleep debt. Then that hour of lost sleep will hopefully have less of an impact on you than it otherwise would. In addition, recognize that you are much more vulnerable to having an accident due to inattention from sleep loss, especially those first couple of days. Drink an extra cup of coffee or, if you can, take the train to work, and go to bed a little earlier as well. Originally published by Harvard Gazette, reprinted with permission. This entry was posted in Biology, Health, Health/Medicine. Bookmark the permalink. ← Why are We So Sleep Deprived, and Why Does It Matter?